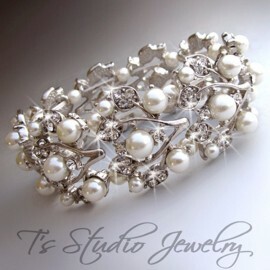 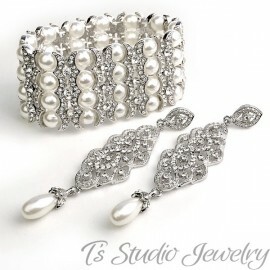 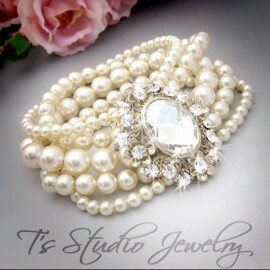 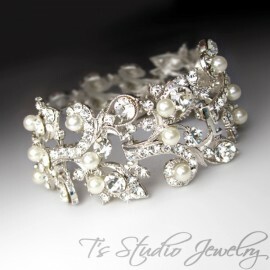 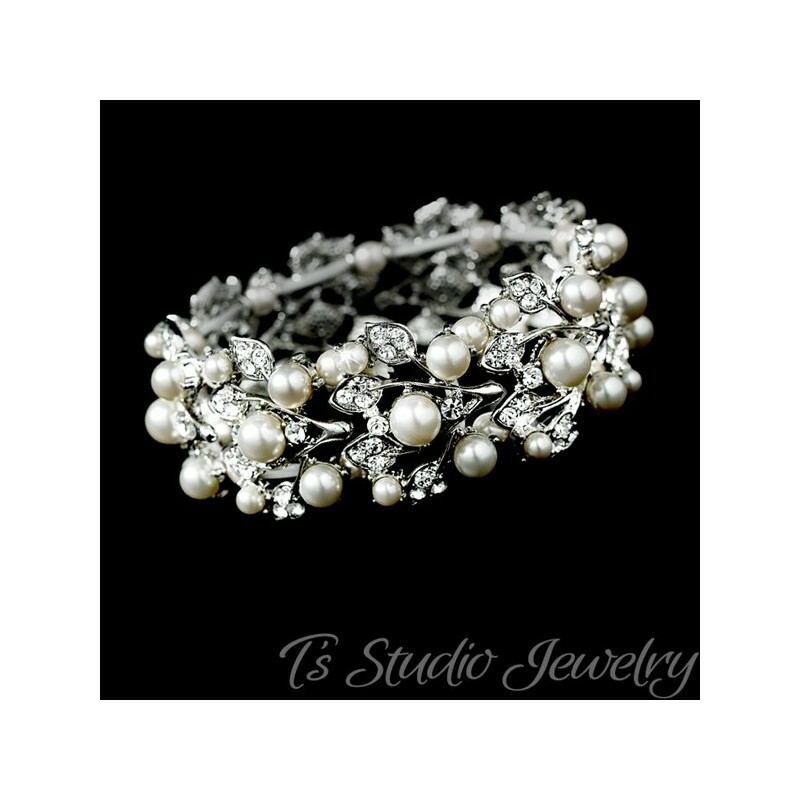 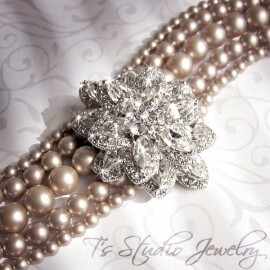 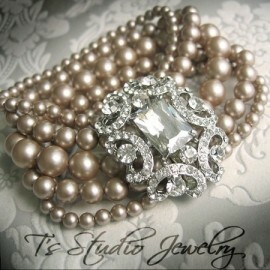 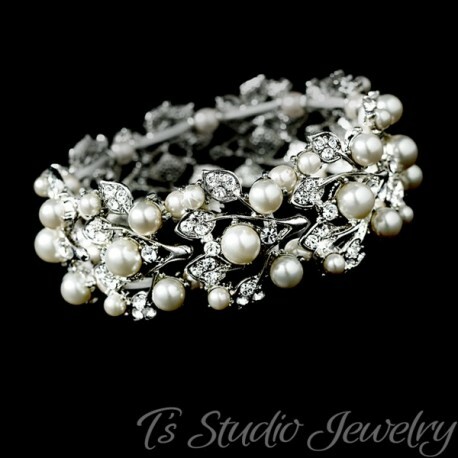 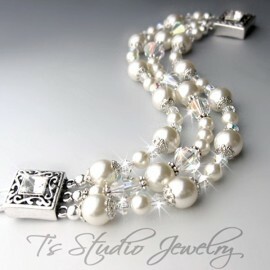 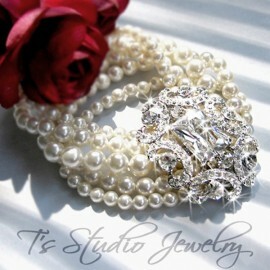 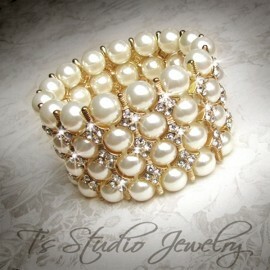 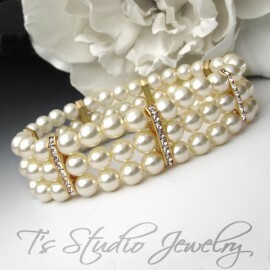 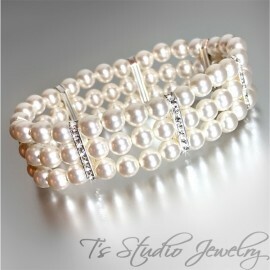 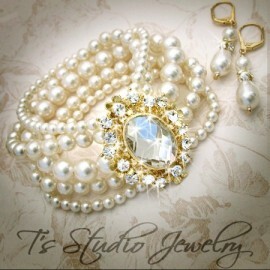 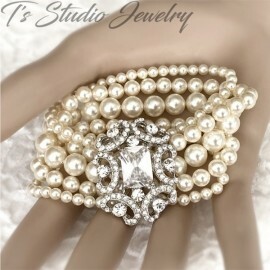 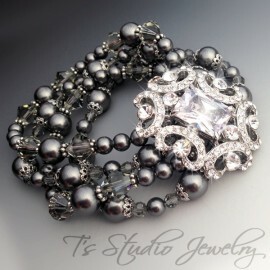 This beautiful bracelet is a stunning stretch style rhinestone crystal and pearl bangle cuff bridal bracelet. It is made with a floral and leaf motif base, that is encrusted with tons of sparkling clear crystals and pearls. 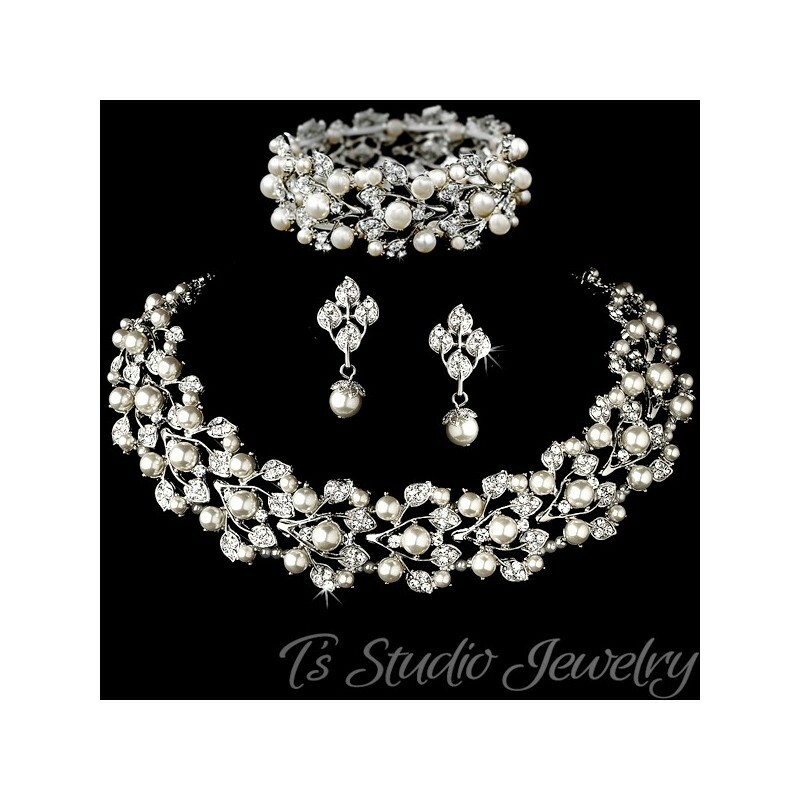 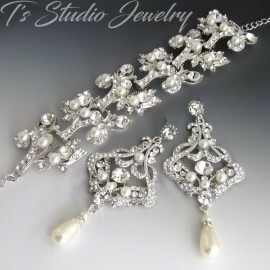 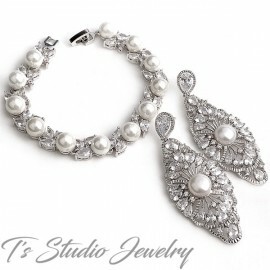 Also sold as a 3-piece set with the necklace and earrings.